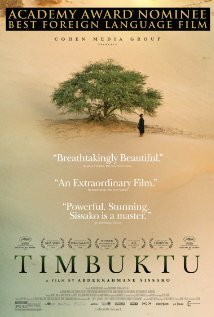 Timbuktu is silent, the doors closed, the streets empty. The religious fundamentalists are spreading terror in the region. In the dunes, away from the chaos, Kidane enjoys a quiet life with his wife Satima, his daughter Toya and Issan, his little shepherd. But his peace is short-lived. After accidentally killing Amadou, a fisherman who stroke down his favorite cow, Kidane must face the law of the new foreign rulers determined to defeat the local open and tolerant Islam.